Does your engine have enough oil? Is it clean? Many cars consume oil between oil changes. It's important to catch the oil level before it drops too low. Your engine has many moving and rotating parts, which means it needs to be lubricated well to last. Over time, the engine oil degrades. Dirty oil doesn't lubricate as well as clean oil. On top of that, some amount of oil is naturally consumed between oil changes and the level drops. Running the engine low on oil will also cause it to wear faster. 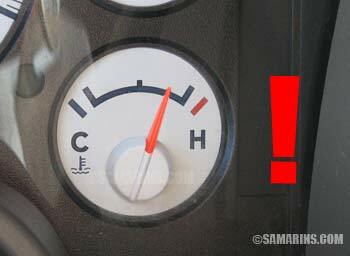 Most cars don't have a warning light that would warn the driver if the oil level is getting low; the oil change remainder only works based on the mileage and time. That is why it's important to have oil changes done on-time and keep the engine oil level topped up. 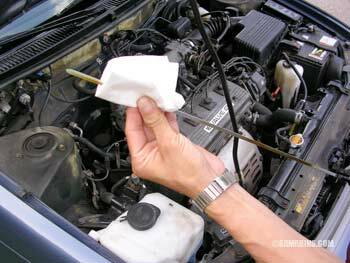 Read how to check the engine oil level. Who works on your car? It's always worth to pay a little extra for reliabile service. We know many people in the automotive service industry, and it's like anywhere else. There are highly knowledgeable dependable mechanics who care about their customers and there are those just looking for a quick buck. It's the same story with service advisors. Be weary of shops with high employee turnover or bad reviews. Don't schedule your appointment on a Friday afternoon, it's when everyone wants to leave earlier for the weekend and mistakes happen. It's good idea to find a trusted mechanic and to always bring your car to the same person. A mechanic who services your car regularly knows what your car needs and will do a better job to keep you as a satisfied customer. Have your car checked out at least once a year. There are plenty of things underneath the car that only can be checked when the car is lifted up on the hoist. If you have an option, use only known good quality or original (OEM) parts. Your owner's manual has the most information you need about your car. 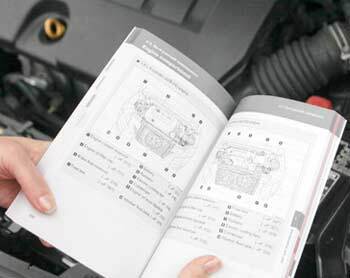 Your owner's manual has the most information you need about your car. Keep it in your glove box and if you happen to have a spare minute, browse though it. 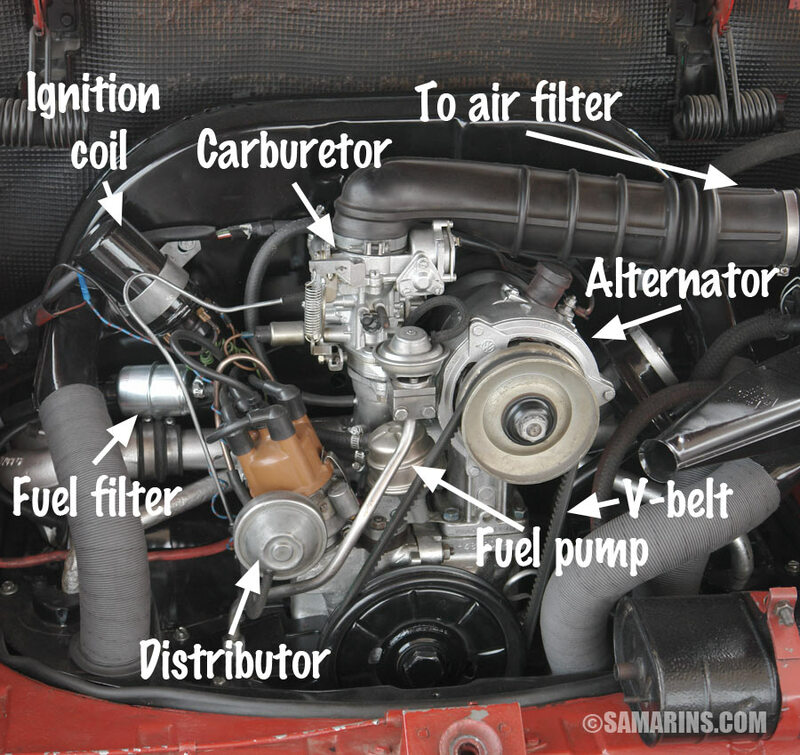 Among other things, it has a map of your engine compartment, so you can see what needs to be checked and how to do it. You can find instructions how to change a headlight or taillight bulb or how to jump start your car if your battery goes dead. More importanty, it has the info on what all the warning lights mean. Often, the solution could be very simple, so you won't have to visit your dealer. For example, in many modern cars with a front sensing camera or radar the warning light may come on if the camera or radar sensor is dirty. The owner's manual may provide a simple instruction for this problem. Overheating of the engine can cause expensive problems if not fixed in time. Any small problem in your car will cause less damage and less expensive to repair if you catch it earlier. For example, if the car starts overheating, the problem could be caused by a bad thermostat or lack of coolant. Either issue could be fixed at a small cost. If the car is continued to be driven, the head gasket could fail which is much more expensive repair. Pay more attention to anything that looks or sounds out of ordinary. Warning lights staying on on the dashboard, engine temperature rising more than normal, spots under your car, new noises when driving over bumps or while braking, unusual smell, difference in the way the car drives, stumbling on acceleration, grease splattered on the wheels, different feel of the brake pedal - these are the examples of telltale signs that need to be checked out. Is the clearcoat and body of your car protected? If you live in the rust belt, rustproof your car to protect the brake and fuel lines as well as other undercarriage components from rust. Wash your car regularly as the corrosion starts in dirty areas. When washing your car, make sure to wash off under the wipers blades, as the sand trapped under the blades can scratch your windshield. For the same reason, replace your wiper blades at least twice a year; they are not very expensive. Wax your car at least once a year. The car wax protects the clearcoat and keeps it shiny. Touch up stone chips and scratches before they get corroded. If the bare metal inside the scratch is exposed, it will rust, and will require a more serious repair. 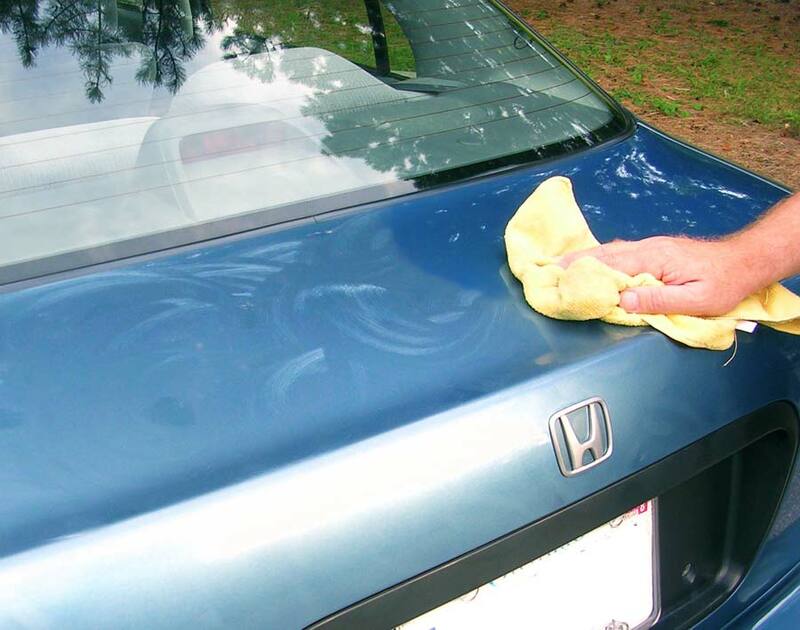 Read more: Car body care tips. Keep the interior of your car clean and dry. There is a lot of electronics and wiring, in the dash, center console, under the carpet and in the trunk. Electronics plus water always equals trouble. 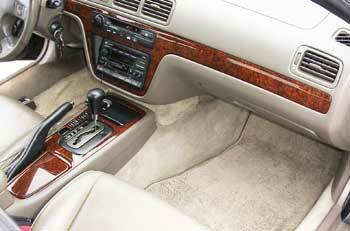 Water under the carpet or coffee spilt on the shifter mechanism could result in electrical problems. When you keep the interior clean, it stays smell free. Once you let the moisture or garbage to accumulate, it will be almost impossible to get rid of the smell and it's bad for your health and the health of your passengers. Most of cars have a cabin filter that needs to be replaced every 10,000-20,000 miles. Dirty cabin filter also causes bad smell in a car. Don't keep the heavy load in your car if you don't need it. If your car is sitting in a garage with a lot of heavy stuff in the back, the coil springs in the rear suspension are getting tired and sag. Read more: How to clean car interior. Correct tire pressure and regular tire rotations make tires last longer. Keep the trire pressure up to specs. 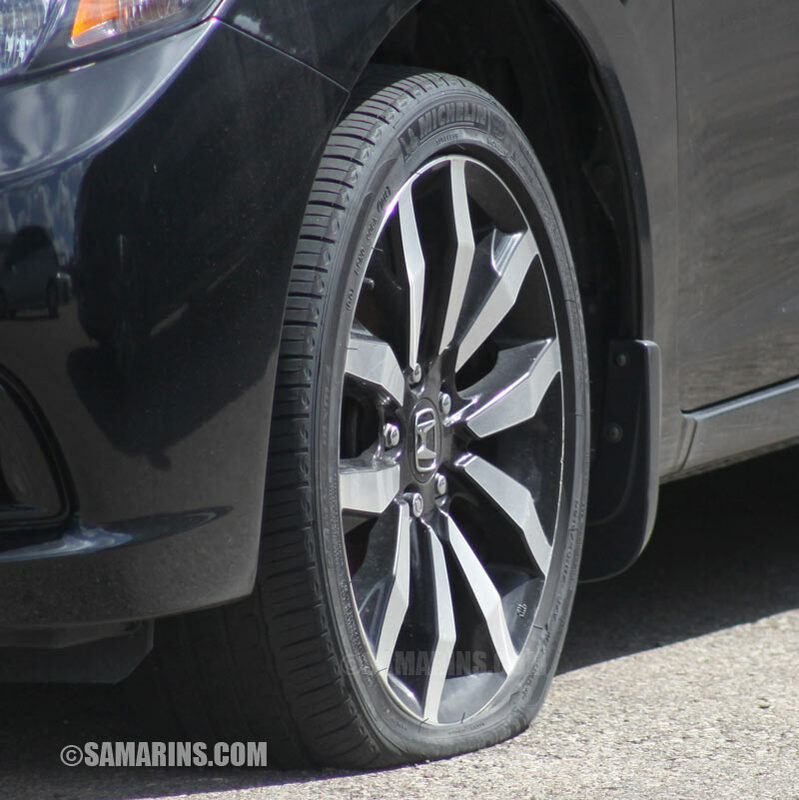 Under-inflated tires wear faster and result in poor gas mileage. Components of the AWD system wear faster if the pressure in tires is different. Over-inflated tires cause more load on struts, shock absorbers and steering components. Change the winter tires back to all-seasons after the last blast of winter, as some winter tires wear faster on dry asphalt. 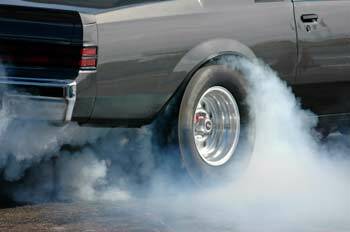 Rotate your tires regularly; in some cars tires can become cupped and noisy if not rotated regularly (e.g. Mazda 3, Honda Civic). Have the wheel alignment checked once in two years or if you feel that your car is not holding the road as well as before. 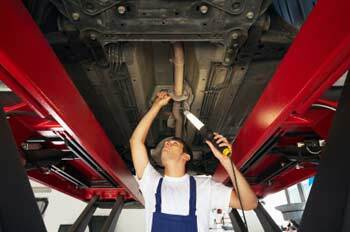 Improper wheel alignment will cause poor handling and increased wear of suspension and tires. Is driving hard bad for your car? Drive smoothly. A full-throttle acceleration will cause your transmission, driveline and other parts of your car to wear faster. One 0 to 60 run will result in more wear than months of normal driving. The same goes for the hard braking. Driving fast over speed bumps damages you rims, struts and other suspension components and wheel bearings. If your daily commute involves only short trips, take your car on the highway once in a while. During short trips, your engine cannot warm up fully causing moisture to accumulate inside it. Besides regular oil changes, your engine needs a few other things. An air filter needs to be replaced every 10,000-20,000 miles. Every 60,000-90,000 miles or so your car needs a tune-up with new spark plugs and a couple of other items. 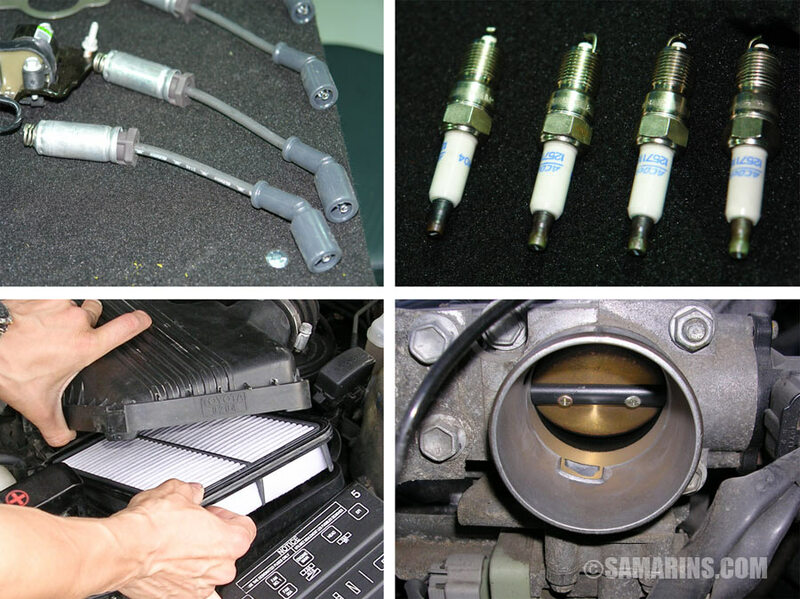 Worn spark plugs can cause many problems, including poor gas mileage, lack of power and ignition coil failures. Ignition wires are also typically replaced as a part of the tune-up. Many cars have a timing belt that needs to be replaced at a recommended interval. If you are replacing a timing belt, often it makes sense to replace the water pump as well, as it involves a little additional labor. You can check the maintenance schedule in your owner's manual or ask your mechanic. 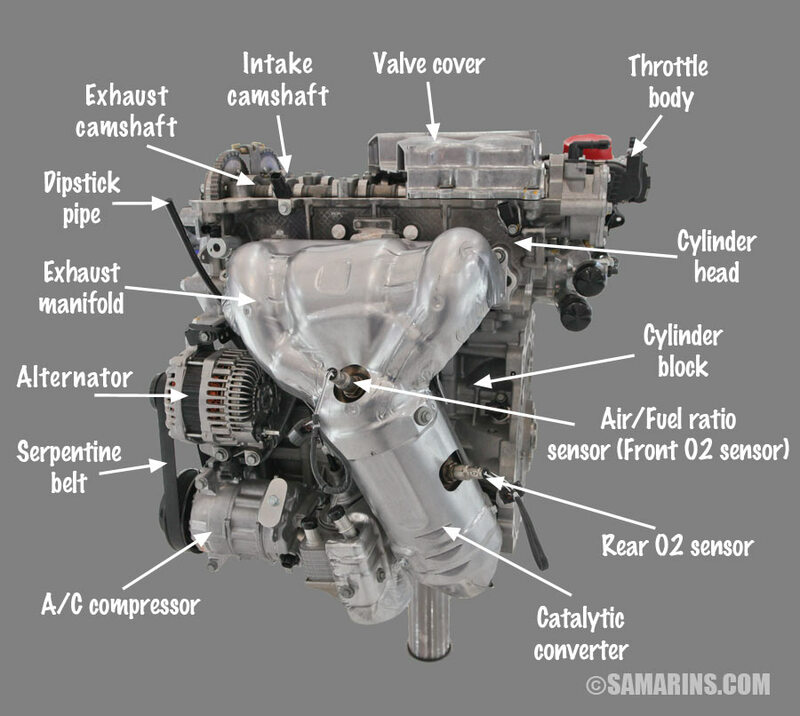 Whether it's a 4-cylinder engine or V6 it has one of these in each cylinder. Oil rings that are stuck inside piston grooves because of carbon deposits are one of the main reasons for oil consumption. A piston slap noise is caused by worn out piston skirts. This 556-hp GM 6.2L LSA V8 powers the Chevy Camaro ZL1. It's an old-school OHV "Pushrod" engine. It has an aluminum cylinder block with one camshaft inside the block. The camshaft is driven by a small timing chain. 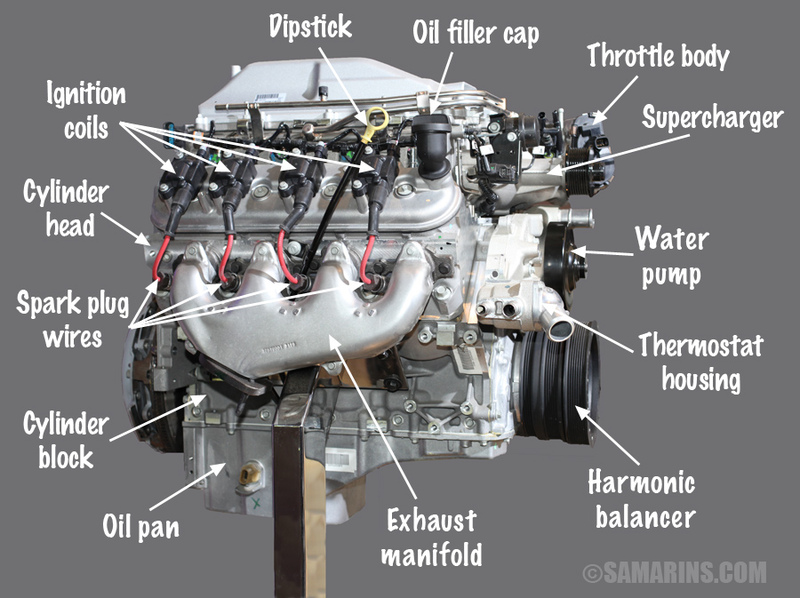 What is the difference between an OHV, OHC or DOHC engine? Read here. This is a 4-cylinder DOHC (Double Overhead Camshaft) engine. It has two separate chain-driven camshafts. Click on the photo to see the components. How does the clutch work? The clutch pedal pushes the piston inside the clutch master cylinder. 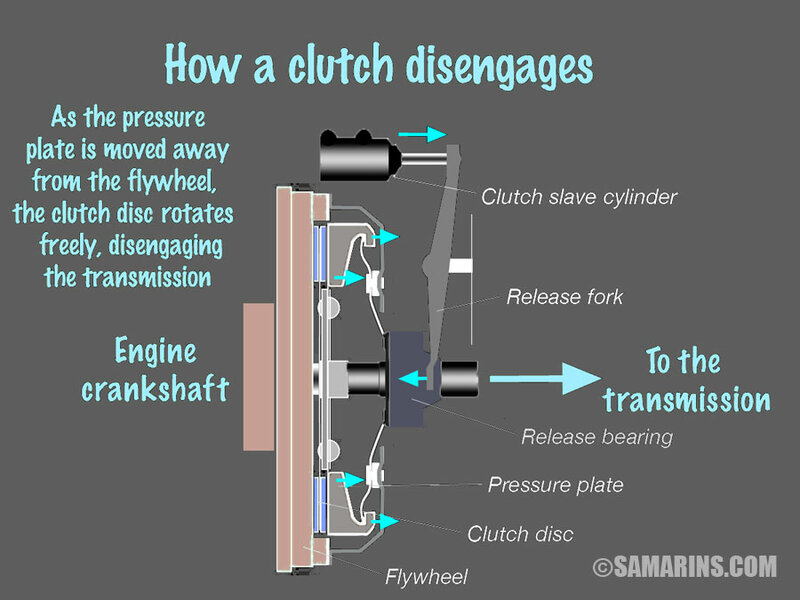 The hydraulic pressure pushes the clutch slave cylinder that through the release fork pushes the release bearing. The bearing presses the spring that pulls the pressure plate away from the clutch disc allowing it rotate freely. Fuses protect electric circuits in a car from overloading. Each circuit has its own fuse. 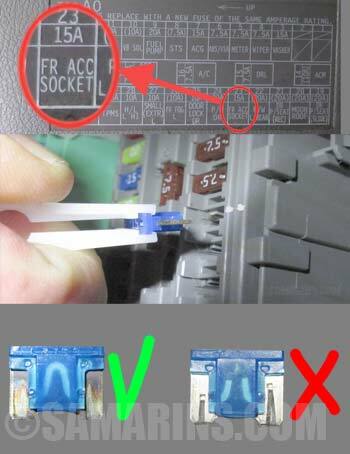 Besides, there are several main fuses that are installed closer to the battery and protect multiple circuits. A timing chain synchronizes rotation of the camshafts with the crankshaft of the engine. The chain is lubricated by oil. It wears faster when the engine runs low on oil. 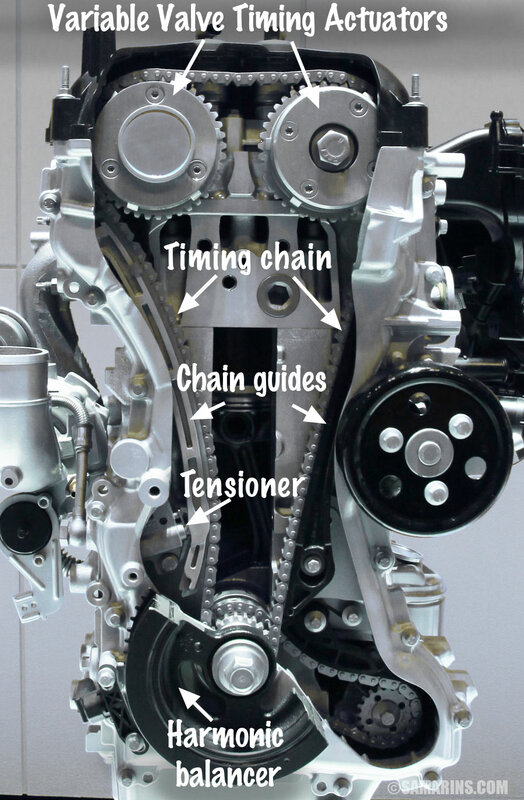 The timing chain replacement kit includes the guides, tensioner and other hardware. This is a Volkswagen engine with a carburetor. No need to worry about a leaking radiator or coolant hoses, it's an air-cooled engine! You won't find too many mechanics who know how to adjust the carburetor float. 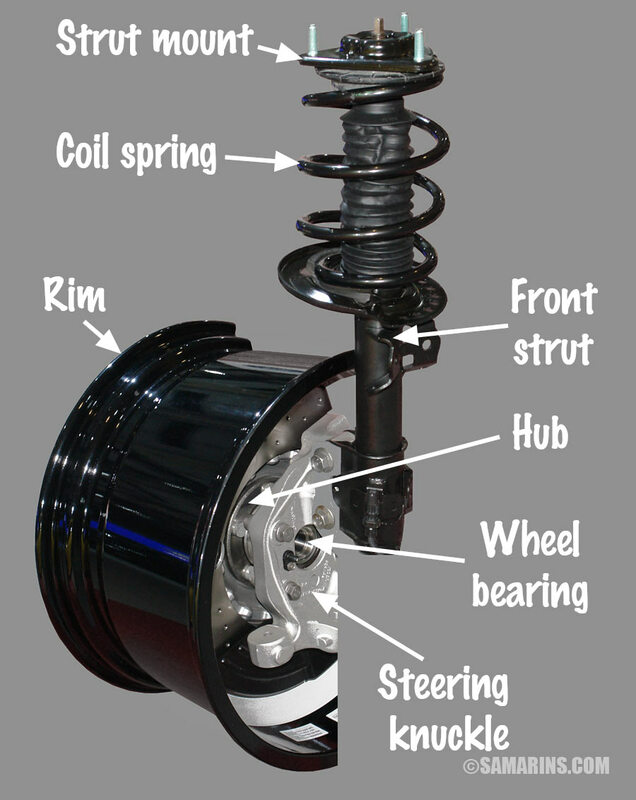 MacPherson struts are the most common suspension components in modern cars. The strut combines a shock absorber and a coil spring in one unit. The strut mount is connected to the car body. The lower end of the strut is bolted to the steering knuckle. The wheel is bolted to the hub, which is a part of the wheel bearing bolted to the steering knuckle. 1. Wash and dry the car. 2. Using the sponge, apply wax on a section of the car. 3. Buff with a clean soft towel. Repeat on the next section. 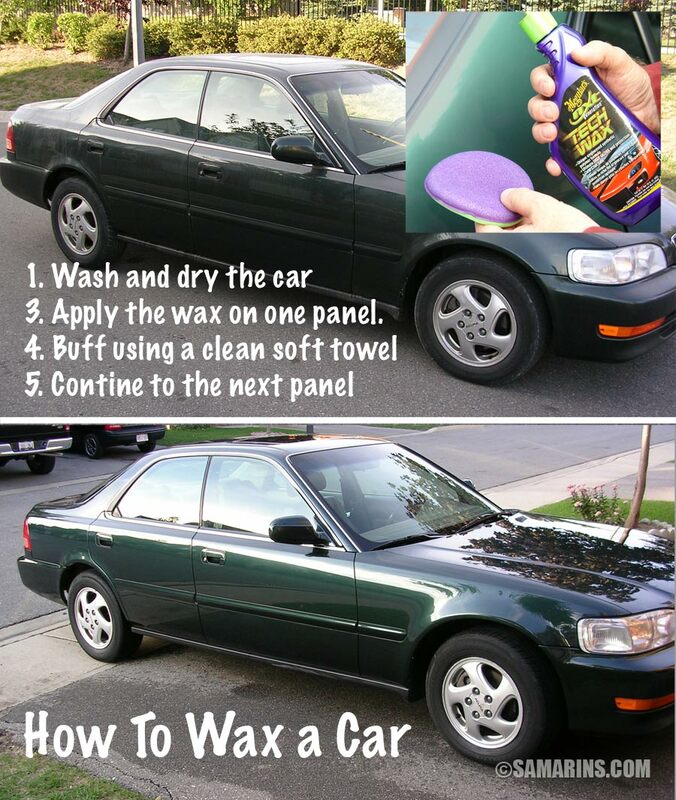 Read more: How to keep your car looking new.